Students are introduced to Leonardo da Vinci as a Renaissance man. Then they learn more broadly about the cultural activity of the Renaissance in the areas of architecture, painting, music, and literature. Next, they work in small groups to research and present one significant figure from the Renaissance. Finally, groups create a timeline of important developments of the Renaissance. 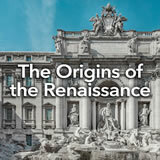 In this experience, students are introduced to Leonardo da Vinci as a Renaissance man. Then they learn more broadly about the cultural activity of the Renaissance in the areas of architecture, painting, music, and literature. Next, they work in small groups to research and present one significant figure from the Renaissance. Finally, groups create a timeline of important developments of the Renaissance. Students will work in small groups in scenes 3 and 4. 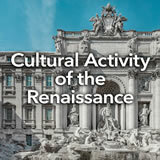 Describe the advances in art and literature during the European Renaissance. 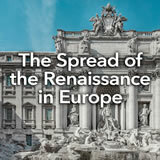 Recognize key events, figures, and contributions of the European Renaissance. Use a timeline to identify chronological order of Renaissance events. What would it be like if your community began to suddenly have a creative explosion in terms of art, music, science, and literature? How would that impact your school or your neighborhood? 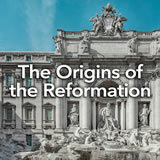 In this experience, you will learn about a period in time where that happened—and changed the world forever. Take two minutes to brainstorm all the jobs that you might be interested in having someday. Think of anything and put it down! Each of the jobs you chose has a specific set of skills you would need in order to do that job well. Imagine that you could do almost all of them well. That would make you pretty amazing. To find out about someone who was able to do many jobs well, watch the video Leonardo da Vinci — Mini Biography. As a class, discuss da Vinci’s accomplishments. What surprised you? Point out that many people still try to be “Renaissance people” by pursuing a wide range of interests. Ask students to imagine what a Renaissance person today might be like. For example, a person who dances ballet, bakes pastries, and works as a technology developer might be one example. The Complete List of Learning Experiences in The Renaissance and Reformation Unit. 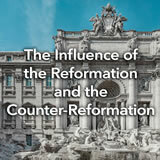 Would you like to preview the rest of this learning experience, and get access to the entire functioning World History MS course for your classroom? Sign up using your school email address below.